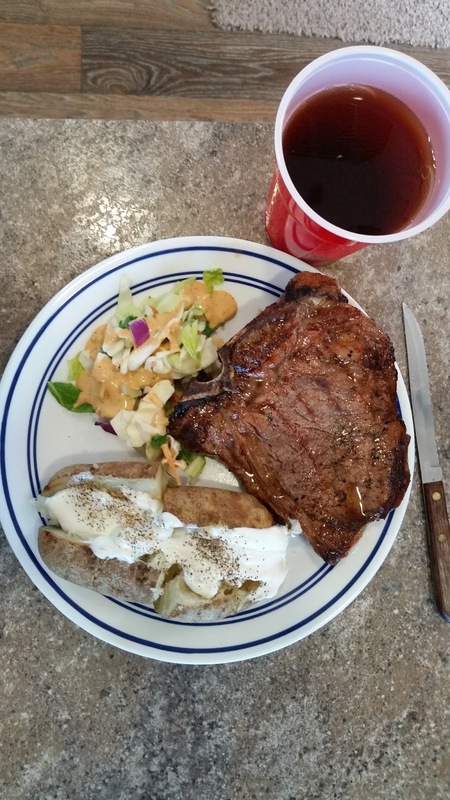 The T-Bone was grilled medium rare on the Mini's gas grill. The baked potato was microwaved to perfection in the Mini's microwave and the salad...well, salad is pretty much salad. I was too full after finishing to even think about desert! Have a safe evening!